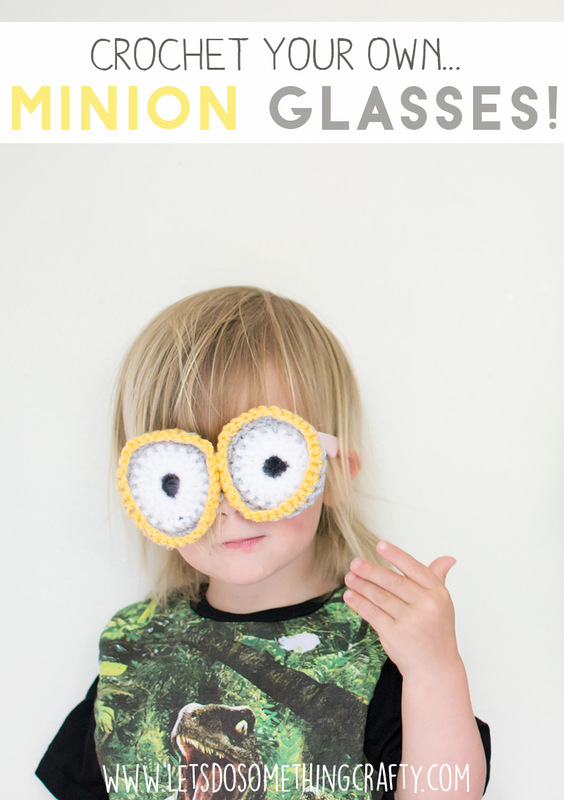 MINION GOGGLES: How To Crochet Your Own! 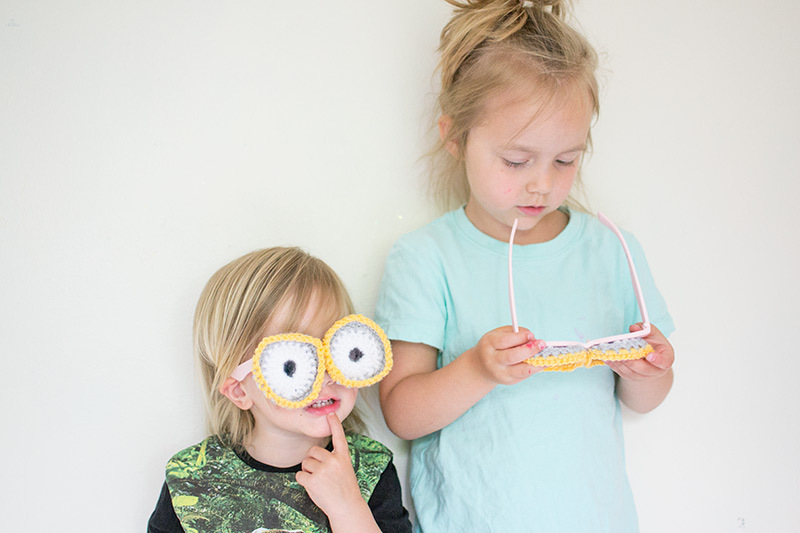 These Minion goggles are a really fun crochet project! Unless you’ve been hiding under a rock for the last few months you will have noticed the world has gone Minion mad. Tiger is particularly obsessed with them and has a book that he takes to bed with him. 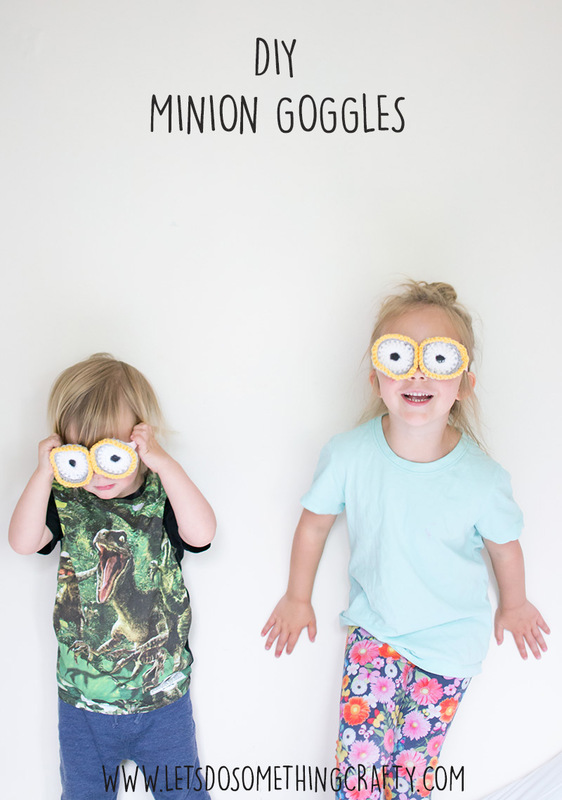 He also shouts out ‘MINION’ every time he spots one, which is quite frequently. I’ve even noticed adult clothing with Minions on and I saw a car on the motorway the other day covered in Minion stickers. I don’t know what it is about these little yellow creatures but people of all ages seem to love them! 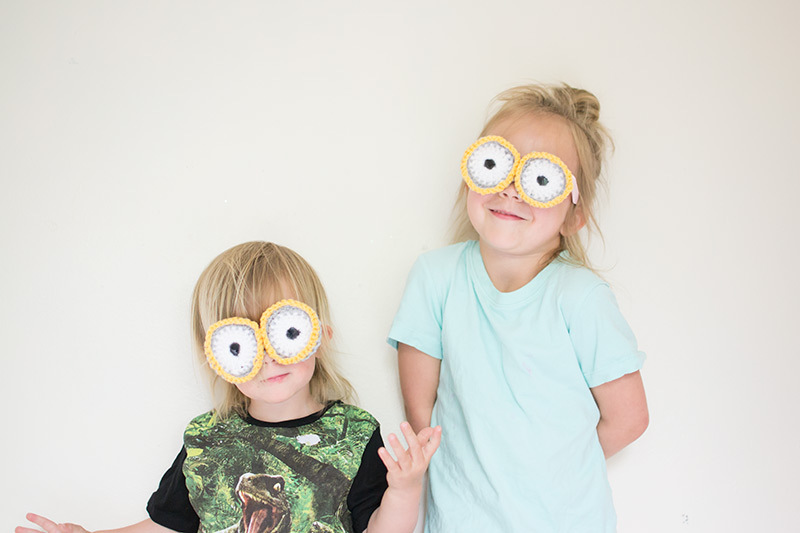 So today’s craft is, you guessed it, Minion themed. 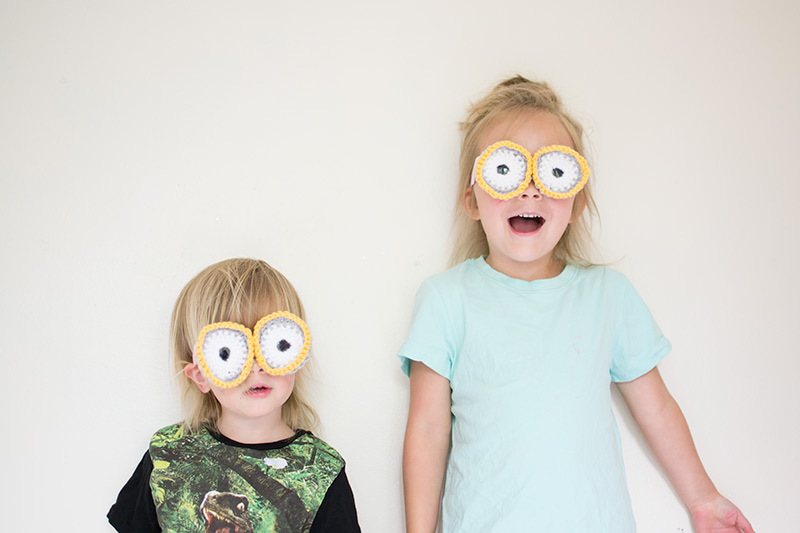 The initial plan for these was just to crochet a hexagon and stick them on the glasses as decoration but then last night I had the idea to make Minion Goggles instead and I’m quite pleased with how they’ve turned out. So to start I made a magic circle with the white yarn. I used Bella Coco’s Youtube tutorial because I find her so easy to follow. 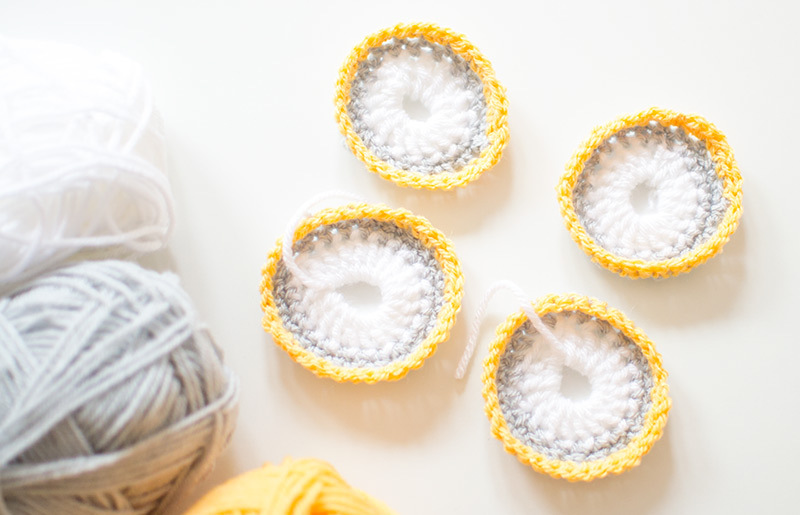 Instead of pulling the circle together I left it with a hole big enough to see through, I used a magic circle because I wanted to adjust it at the end and make sure both crochet circles were the same size. I then used treble stitches all around the outside (double in the US), she shows you how to do this in the video. I then did two rows of double crochet (single in the US) using the grey yarn before doing one round of half treble (half double in US). I adjusted the magic circle making sure there was enough of a gap to see though and weaved in all the ends. Finally I used my glue gun to stick them onto the sunglasses. You might like some of my other crochet projects..
How to crochet your own worry dolls. How to crochet a foxes head. 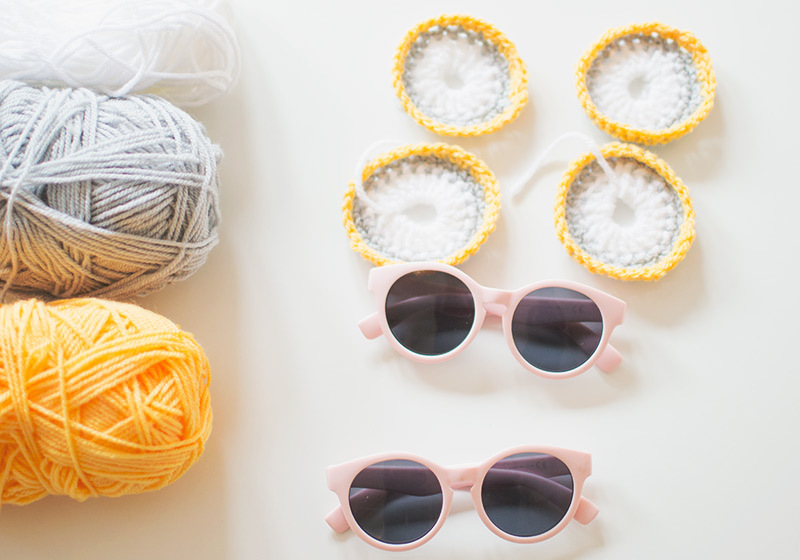 How to crochet mini jumpers. How to crochet dream catchers. Crochet Cherry Necklaces For Kids, Or Adults!